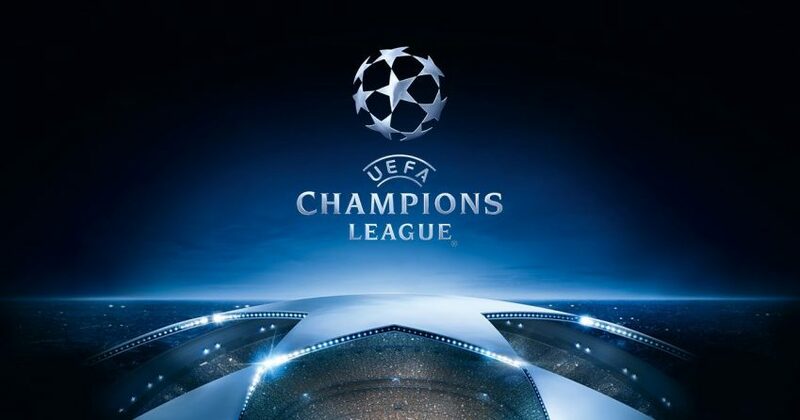 The Champions League is one of the biggest club football competitions in the world and brings together the very best teams in Europe. Teams have already played a group stage, and a last 16 round, and now we have just eight teams left in the competition, and all of them will be excited at the prospect of winning the tournament. We have a spread of teams remaining from all over Europe, with three Spanish teams still in the tournament, along with two from England, two from Italy and one from Germany. The last eight will play in quarter-finals that take place during April, and the four winners will progress from there to the semi-finals. The two winners will then head to the final, which this season will be played in Kiev and will take place on May 26. The eight teams remaining can be split into two different groups, and that can also be seen when looking at the odds that are available. The first four teams are the most likely winners of the tournament, and these are the four teams that have the shortest odds according to the bookmakers. The remaining four teams are outsiders to win the tournament with the bookmakers, and a win for any of these four would be a big surprise. The Champions League favourite right now are Barcelona, after their brilliant display against Chelsea to reach this stage. Three other teams are in behind them and also have short odds to win the tournament. These three teams are Manchester City, Bayern Munich and Real Madrid, all of these teams looks to have a genuine chance of winning the Champions League this year. Those four look to be the favourites at this stage, and any other club other than those four winning would be a surprise. The remaining four clubs in the competition are Juventus, Liverpool, Sevilla and Roma. The first two clubs, Juventus and Liverpool are the ones that have the most chance out of this group of four, but none of these four can be considered as genuine Champions League threats right now. There are four quarter-finals and from these teams, we will find out who will make the final four this season. The quarter-finals are to be played in April and each game will be played over two legs, with the aggregate score deciding the winner. Here is a look at each quarter-final, and who looks to be the Champions League favourites to qualify from each game. Juventus are here thanks to a great away win over Tottenham at Wembley, while Real Madrid found a way past the impressive PSG to book their place. Real Madrid are the favourites to win this tie, and they are also one of the top four favourites to win the Champions League outright. With this being a two-legged game there is a chance that Real Madrid will head over to Juventus with a slightly more defensive mindset than normal. They don’t need to go out and win the game, and if they took home a draw with them for the second leg, they would still be favourites for the tie. Juventus have to attack Madrid and try to score goals past them. This is not a natural way for them to play, and they will have to adapt their normal style. However, if they are to have any chance of winning this tie, they must leave the first leg with a lead that they can go to Madrid and defend. Overall, Real Madrid look to have the quality within their team to win this one. They look a good bet to go to Juventus and bring home at least a draw, giving them the platform they need to finish Juventus off on home soil and reach the semi-finals. While Bayern Munich qualified for this stage with ease, beating Besiktas 8-1 on aggregate, Sevilla had to come through a very tight game against Manchester United. Many expected United to beat them, so that was a real shock, something they will need to do again if they are to get past the might of Bayern Munich. Bayern Munich find themselves in a similar position to Real Madrid, playing the first leg away from home. They will head to Sevilla and probably play quite a conservative style because they would be thrilled to draw the game and take the tie back home to Germany for them to finish off. That means Sevilla will have to attack, something they didn’t really do in their victory over Manchester United in the last round, and something they look likely to struggle with once again. Bayern Munich looks sublime in part in their last game against Besiktas, and they have to be feared here. Sevilla took advantage of a below-par Manchester United, and this is a huge step up for them, one they are set to struggle with because Bayern Munich look set to win this game. Barcelona reached this stage with a good victory over English club Chelsea in the last round, while Roma won a tight game on away goals against Shakhtar Donetsk. Roma are going to need to be much better if they are to trouble Barcelona in this one, in what looks sure to be two very difficult games for them. Barcelona are huge favourites to win this tie and it is easy to see why. They are far superior to Roma, and it would be a huge upset to see anything other than Barcelona win this one. Being at home in the first leg, Barcelona would love to wrap this tie up there and then, allowing them to travel to Roma with a nice lead in the bag. They won 3-0 at home against Chelsea and another performance like that is likely to be enough to see them through, unless Roma perform a lot better than we have seen from them so far in the competition. Roma will be desperately hoping they can stay in the game during their trip to Barcelona in the first leg, although that looks highly unlikely. The free-scoring Spanish club look set to win this one and book a place in the semi-finals of the Champions League. This all-English clash looks set to be a great battle between two very good teams. We have seen Manchester City at their brilliant best this season in both domestic and European games, and with a 4-0 away win at Basel in the last round, that tie was all over after just one leg. Liverpool did something similar, beating Porto 5-0 away from home to kill off their tie. It is clear that both of these like to score games, and with no travel issues, both games should be very free scoring with plenty of goals involved. However, as good as Liverpool have been this season, and as freely as they have scored, Manchester City look to be on a different level to any other English club, and they are going to be so tough to beat. Liverpool’s best chance stands with them winning the first leg comfortably and then performing a defensive masterclass in Manchester for the second leg. Manchester City won’t head to Anfield and defend, they will attack Liverpool regardless of where the game is being played. This tie should give us two fantastic games of football, but Manchester City are the favourites to qualify based on the quality they have shown throughout this season in both domestic and European competitions. The four quarter-finals should all be played to a very high standard, we are seeing some of the best football teams in Europe competing in them. However, this is the stage when the very best teams come to the fore and show that they are worthy of a place in the semi-finals. It all makes for some very exciting times for football betting fans. Out of the four games, Real Madrid, Bayern Munich, Barcelona and Real Madrid look to be the favourites to qualify for the semi-finals. If they do then we would have four fantastic teams in the semi-finals, which would make for some great games of football. As it stands now, the team most likely to win the Champions League looks to be Bayern Munich. They have a lot of big game experience in their squad, and they know what it takes to win the competition. They have been in very good form this season, playing well and showing that they have what it takes to win. They are going to be a very interesting team to watch over the coming weeks, and have been handed a draw they can win, with a game against Sevilla. There is a long way to go, but Bayern Munich appear to be warming up at just the right time.